I do love traditional green and red colored Christmas cards, so for this one today will show you my second card, from the set of two I've made. I named it Green Santa! 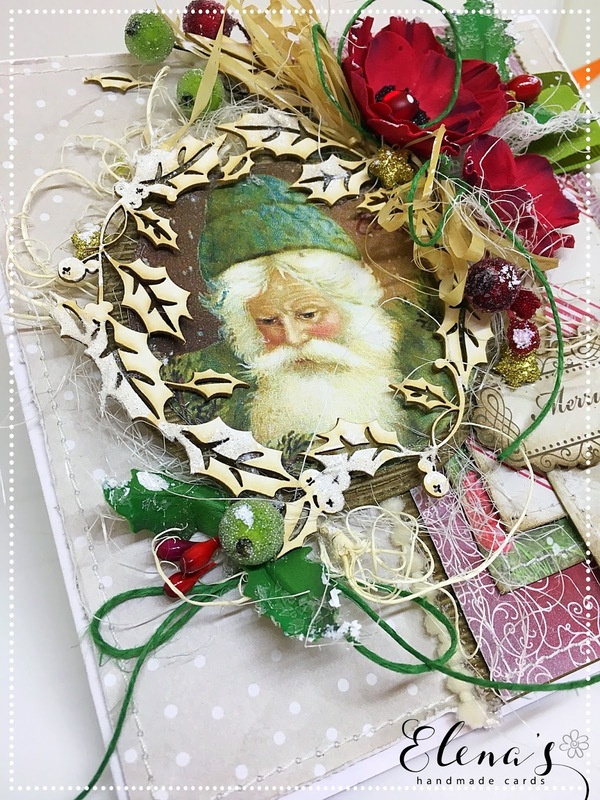 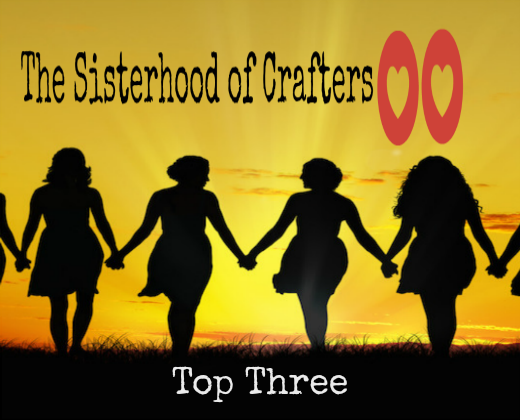 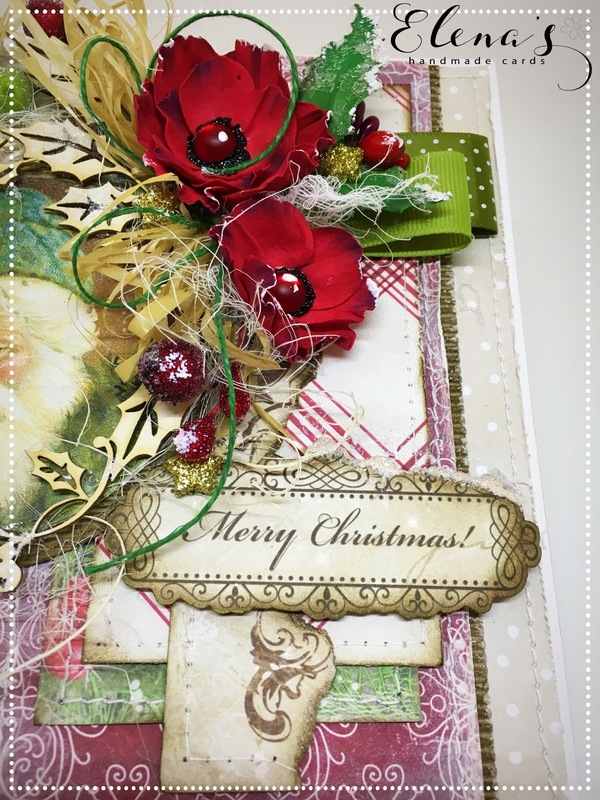 The card has lots of layers overlapping each other, stitches, chipboard elements, frosty red and green berries, red stamens, golden stars, wax cord and ribbons. 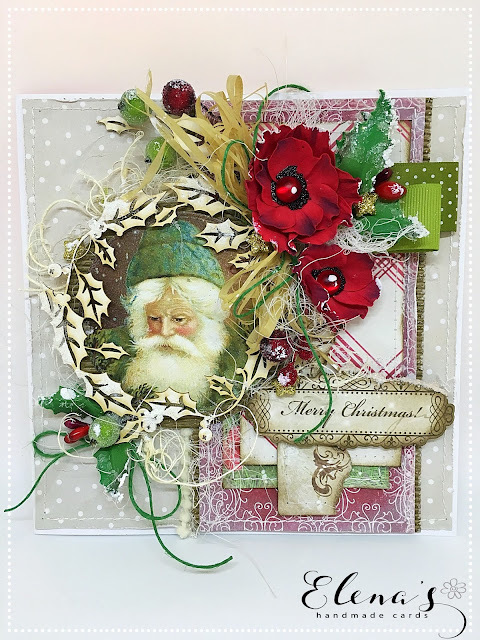 As you can see I used again Lemoncraft Christmas Collection paper pack and for embellishment at the upper left corner I added two beautiful dark red flowers made out of red foamiran provided by https://www.crafteezee.co.uk/. 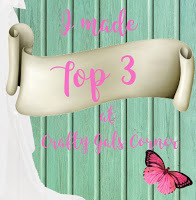 A tutorial how can you make them I'll show soon. 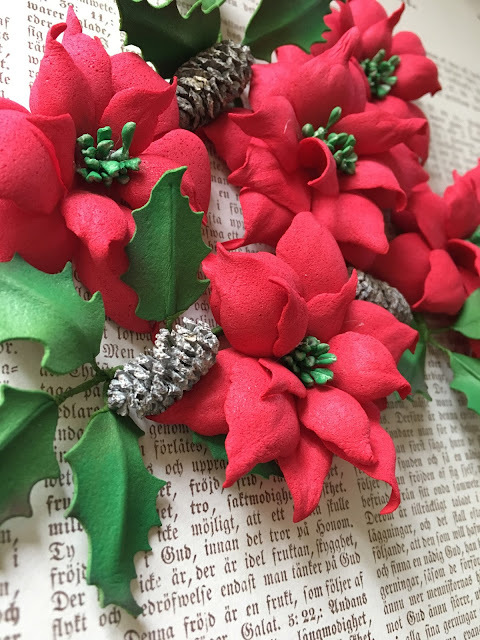 I also made holly leaves out of green genuine foamiran, which gave a festive outward to my card. 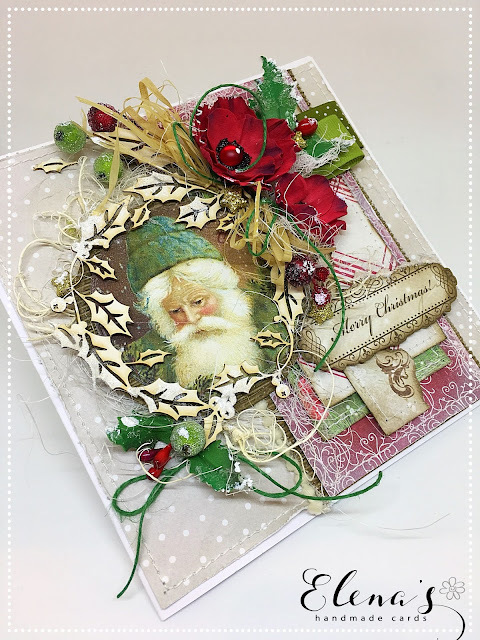 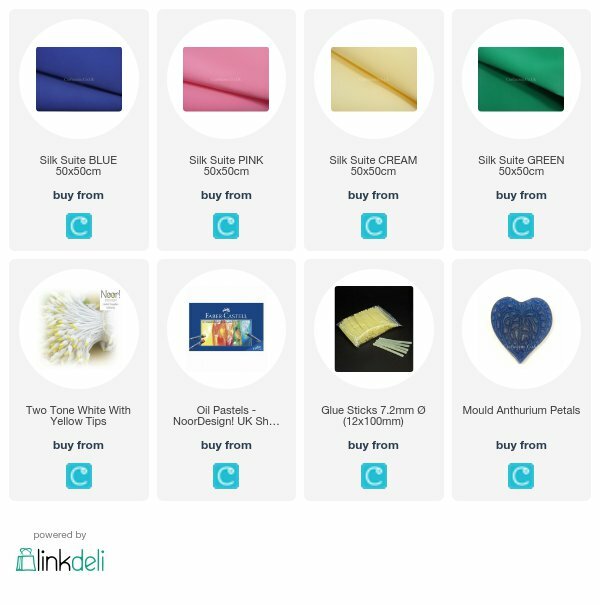 Today I'm going to show you some of mine pinkish and bluish Christmas mini cards I've made recently. I know the colour is unusual for Christmas projects but look at them .... they are pretty aren't they? 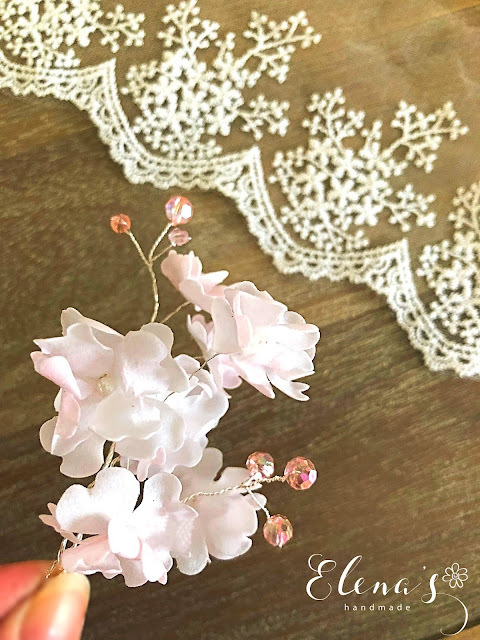 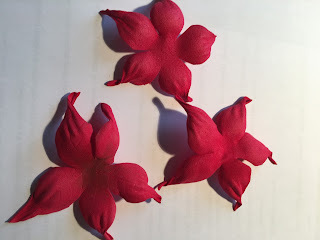 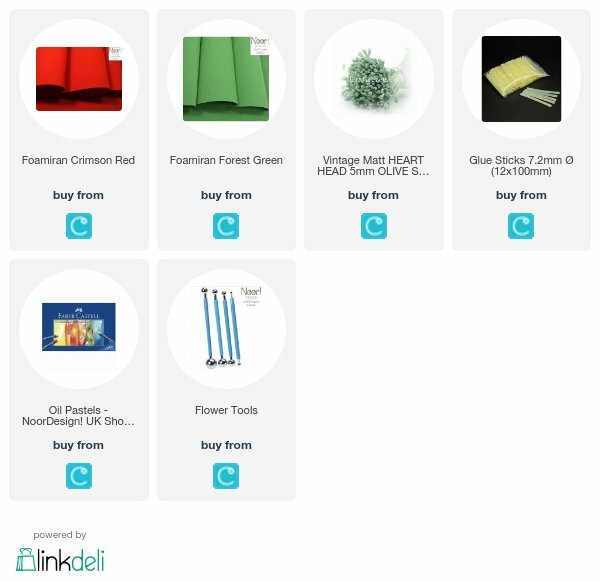 First, I made many Foamiran Poinsettia Flowers out of white, pink and blue genuine foamiran which you can buy from https://www.crafteezee.co.uk/. 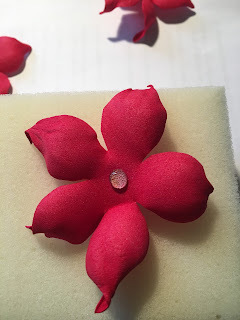 The technique, how to make them, I described in one of my previous posts here. 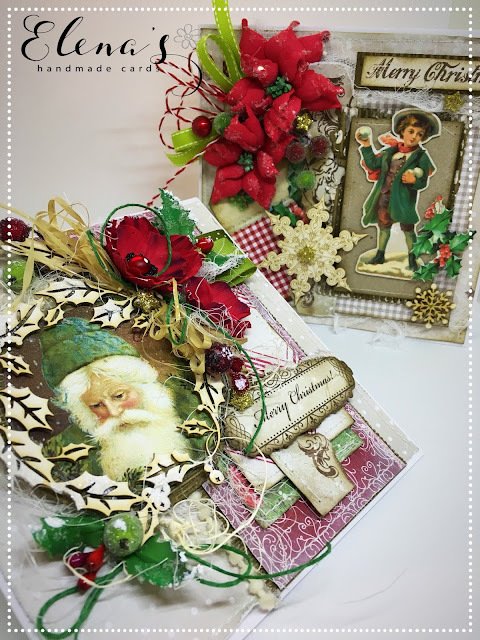 For the base of the cards I went with a few different type of scrapbook paper found in my messy, crafty cabinet a month ago, so they're My Mind's Eye Collectable, Teresa Collins Santa's List and Frosty Signature Christmas by Jen Wilson. 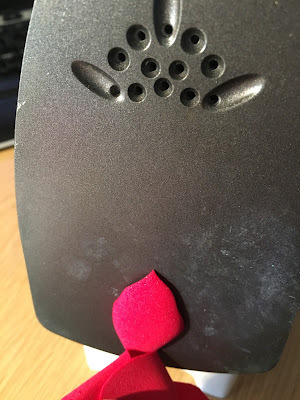 Did you remember my Glove card last time I've shown you? 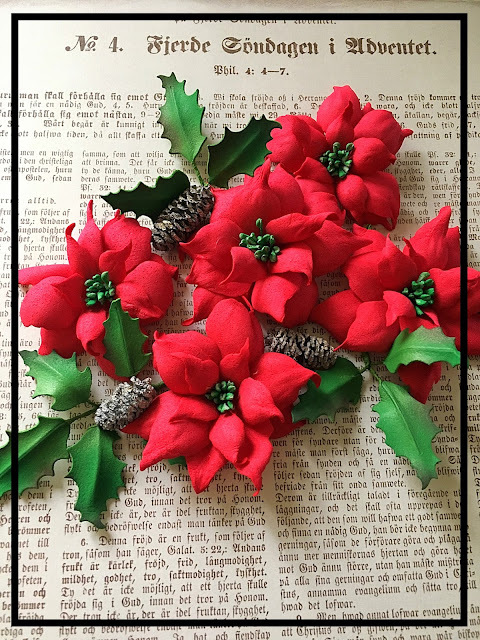 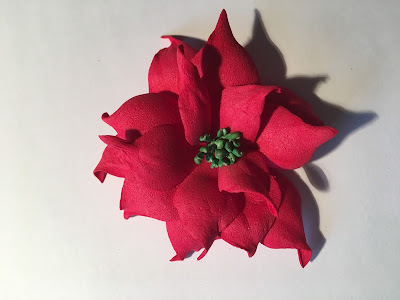 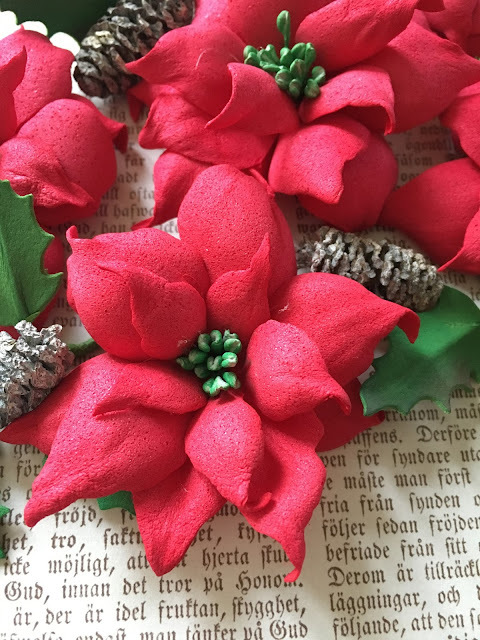 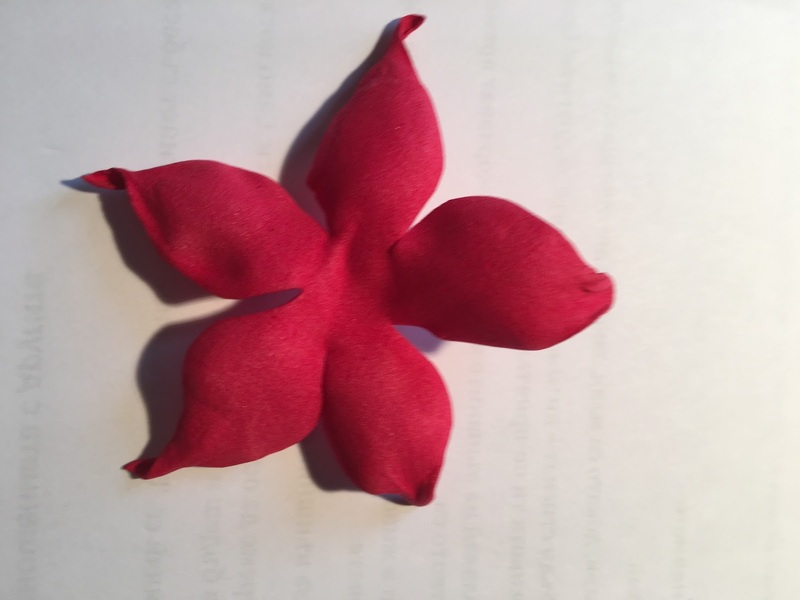 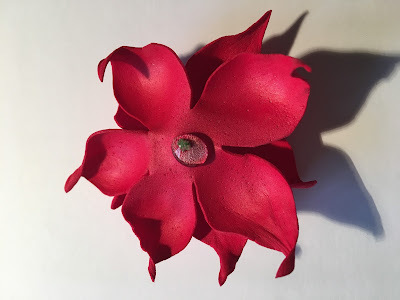 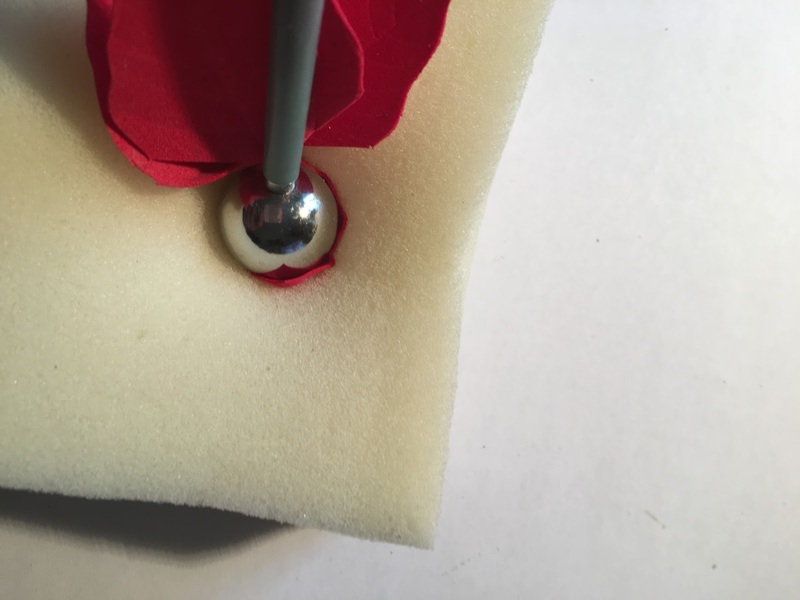 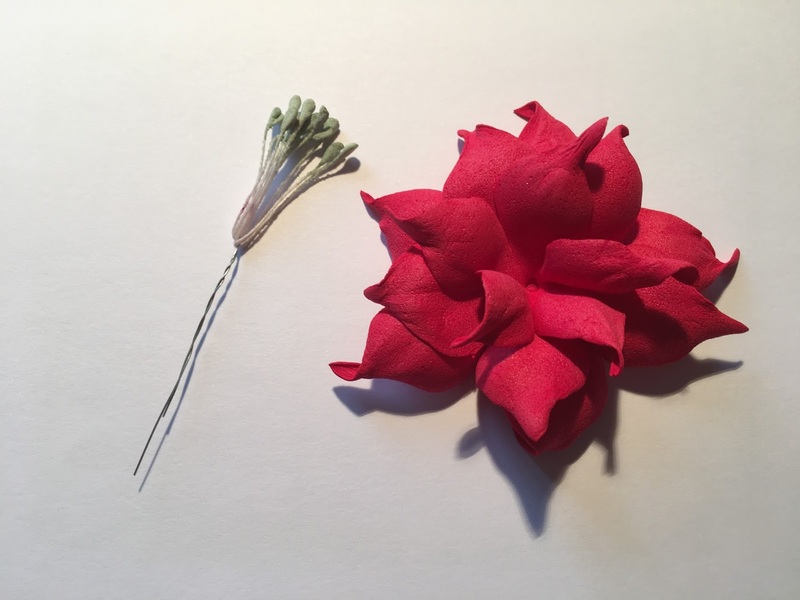 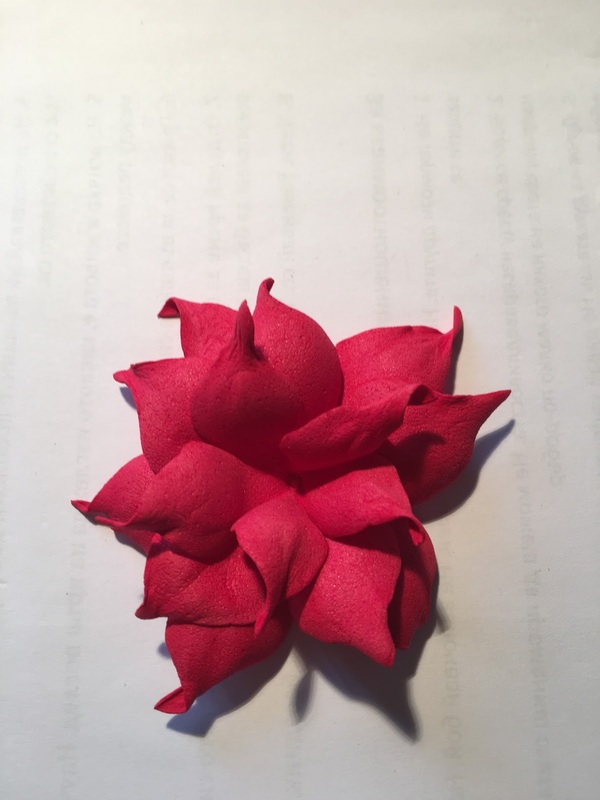 Today I'm going to explain you how to make this easy but very attractive Poinsettia Flowers which is at about 7 cm, suitable for any Christmas project. 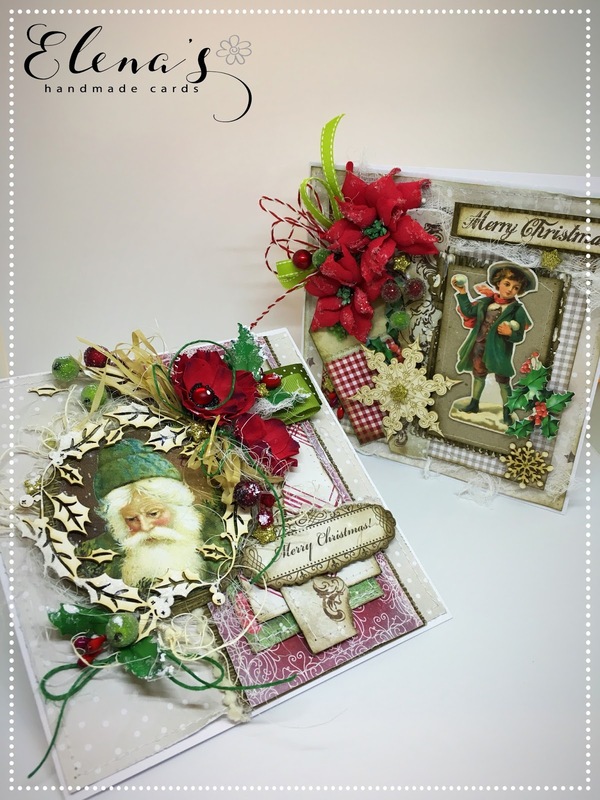 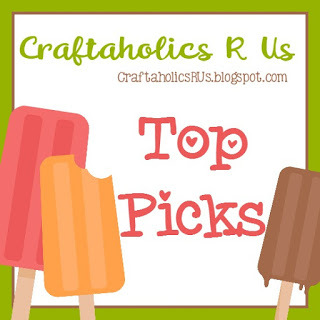 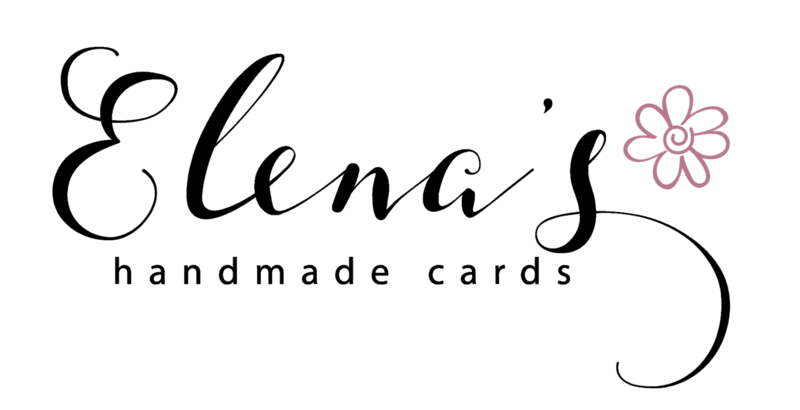 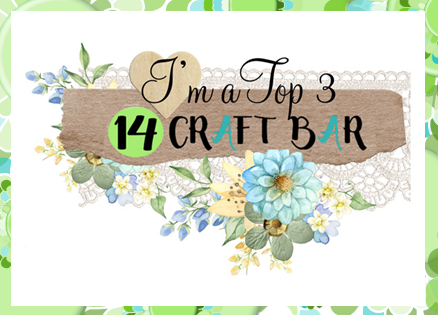 First of all I made my templates which look like those shown on the picture. You also can use Rosy Owl Poinsettia flower set. 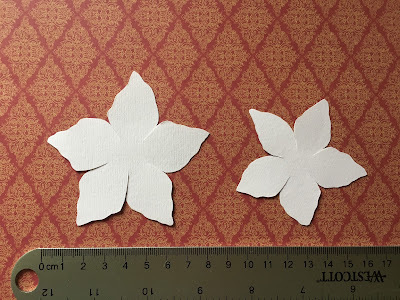 The larger five-petals template is 8 cm diameter circumference and smaller one is 6.5 cm. 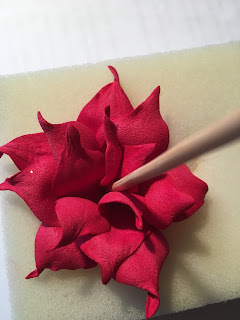 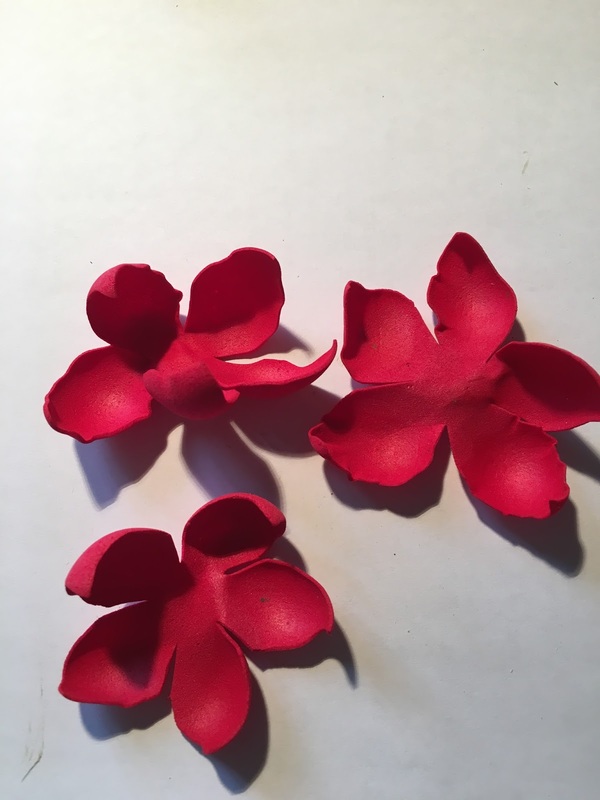 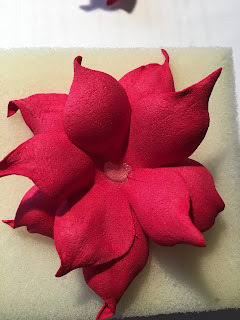 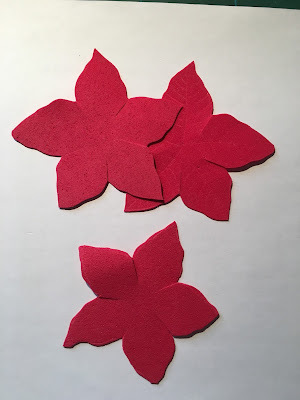 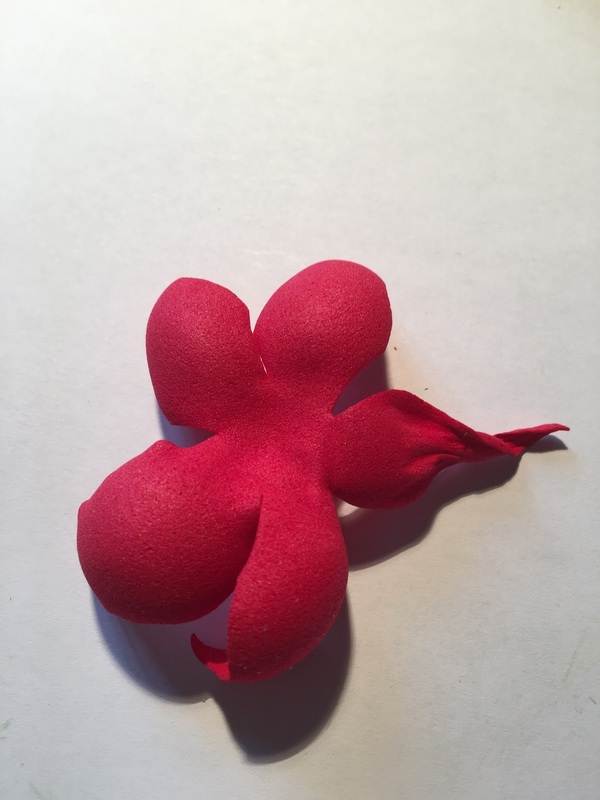 Next, I cut two larger and one small petals out of red regular foamiran. and pushed it with the middle size ball from the Flower Making Tools. and that, at the back side. 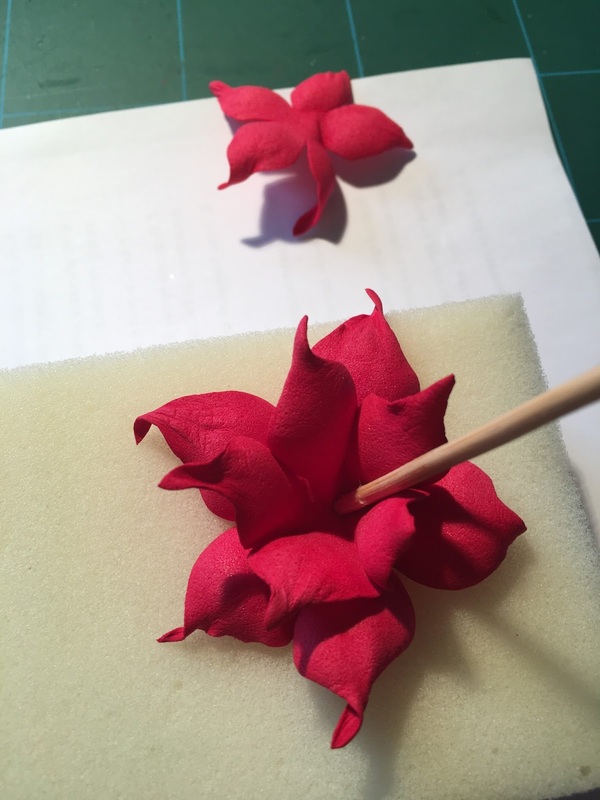 It was time to attach the stamens. I chose Heard Head Olive Stamens (at about 7 double head in a bunch) which I folded with a piece of florist wire. 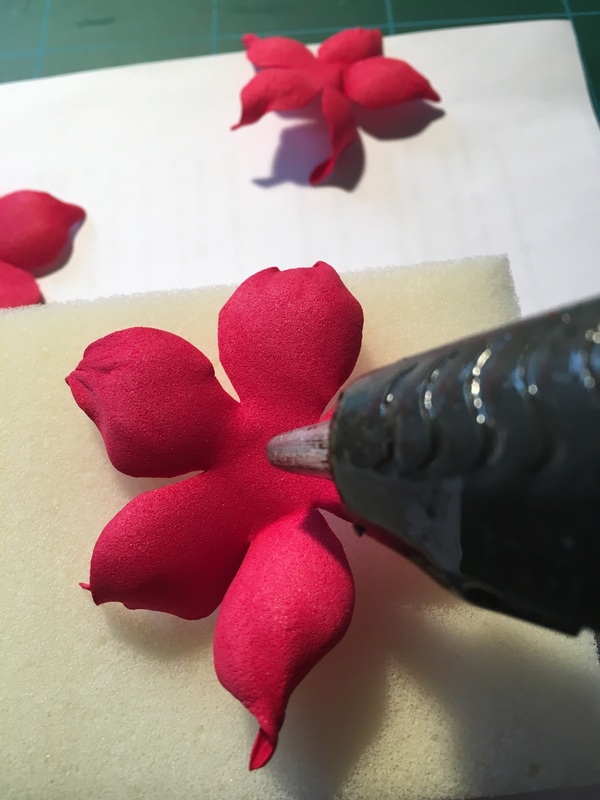 I dyed them with bright green oil pastel and infixed them in the previously punched a little hole in the middle of the flower. Cut the stamens edges, glued them at the back side of the flower, then my flower was completed. 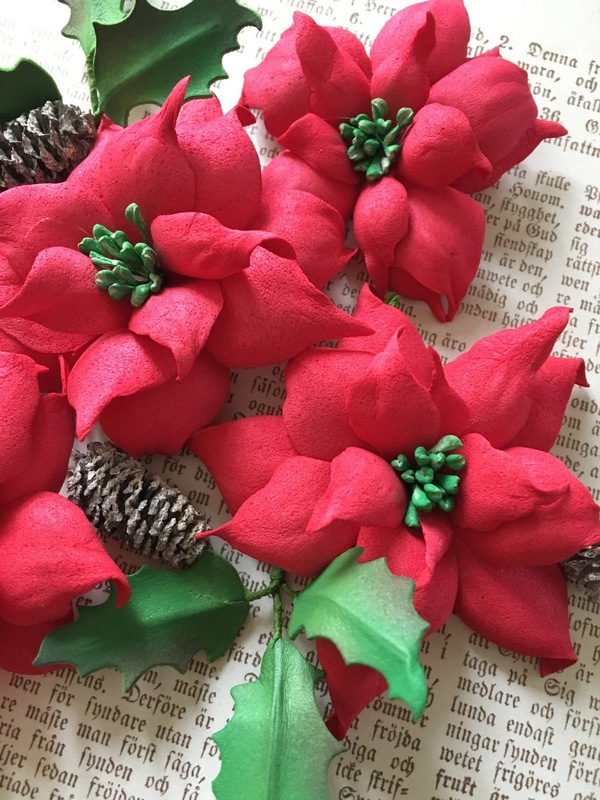 There are some more of my beautiful Red Poinsettias! 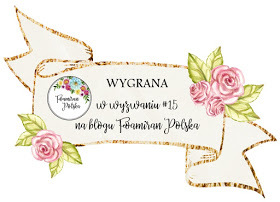 Have a lovely week for all of you!